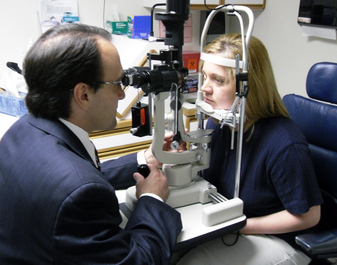 Located in the South Hills of Pittsburgh, PA, Crossroads Eye Care Associates is a fully-integrated family vision practice that provides a multitude of ophthalmology and optometry services to both Allegheny and Washington County communities including McMurray, Peters Township, and North Strabane. We diagnose, treat, and manage diseases of the entire visual system, the eye and its associated structures, as well as related systemic conditions such as diabetes and high blood pressure. 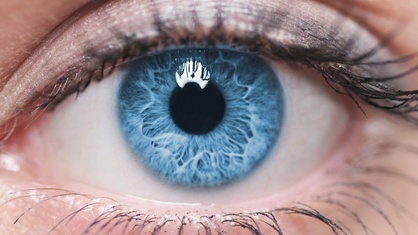 Our surgical services include cataract surgery, glaucoma laser and surgery, retina laser, eyelid procedures, Botox therapy, and treatment of eye injuries. At Crossroads, we strive to educate and advise our patients about specific eye concerns and will always remain dedicated to ocular health. We welcome the opportunity to become your family's eye doctor. Browse our site to read more about our experience and our services. 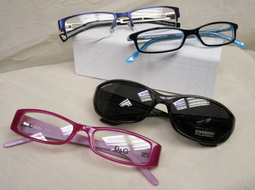 Take a look at a few optical frames we carry, and contact us anytime. The information contained on this website (www.crossroadseyecare.com) including but not limited to, text, graphics and other material is for informational purposes only. The information on this site is not a substitute for professional medical advice, diagnosis or treatment. This portal cannot be used to submit medical questions or ask for advice. Please do not leave prescription refill or medical history information on this site. This portal is only to be used to communicate requests for an appointment and/or new patient forms. Thank you. Located in McMurray PA, Crossroads Eye Care is committed to providing the highest quality care for all of our patients. Our Doctors and Supervisors hold numerous years of medical experience, and our team is devoted to treating every patient with efficiency, respect, and compassion.